What Are NSAIDs for Arthritis? NSAIDs -- nonsteroidal anti-inflammatory drugs -- are a type of pain reliever. At prescription doses, these drugs also curb inflammation. Doctors use NSAIDs to treat many things that cause pain or inflammation, including arthritis. Never use an over-the-counter NSAID for more than 10 days without checking with your doctor. Over-the-counter NSAIDs are effective pain relievers, but they are intended for short-term use. When taking NSAIDs for long periods of time, your doctor should closely follow how you’re doing so she can watch for side effects and change your treatment if needed. All prescription NSAIDs have a warning that the medications may increase the chance of having a heart attack, stroke, and stomach bleeding. 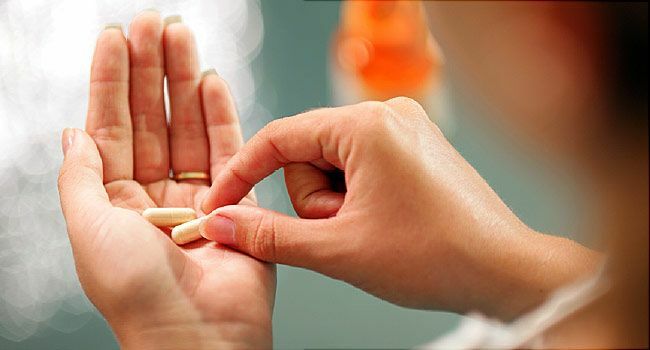 They all reduce pain and inflammation, but you might find that you get more relief from one NSAID over another, and some NSAIDs may have fewer side effects than others. The effect differs from person to person. Some NSAIDs also may be more convenient, since you only need to take them once or twice a day. NSAIDs raise your risk of having a heart attack or stroke, especially in higher doses. They can also cause stomach bleeding. NSAIDs are safest when you take them in low doses for brief periods. Side effects most commonly happen if you take large doses over a long time (months or years). A tendency to bleed more, especially when taking aspirin. Your doctor might tell you to stop taking NSAIDs before surgery. Ask your doctor before taking NSAIDs if you are on blood-thinning medications (such as Coumadin). Liver or kidney problems. If you have any kidney problems, you shouldn’t take NSAIDs without checking with your doctor. Other side effects are less common. Who Is More Likely to Have Stomach Ulcers and Bleeding? Use acetaminophen instead of NSAIDs for pain relief that your doctor doesn't feel requires an anti-inflammatory drug. Take the smallest dose of NSAIDs that you need. If you don't need 24-hour a day relief, avoid one-dose-a-day types of NSAIDs, especially if you are over age 60. These medications stay in your body longer and may cause more side effects. Ask your doctor about taking a second drug, such as an acid blocker, that can reduce your risk of stomach ulcers and bleeding. Some medications combine an NSAID and an acid blocker in one pill. If you have lasting or unusual pain in your stomach after starting an NSAID, tell your doctor right away. Doctors prescribe NSAIDs in different doses depending on your condition. Dosages may range from one to four times per day, depending on how long each drug stays in your body. Your doctor may prescribe higher doses of NSAIDs if you have rheumatoid arthritis (RA), for example, because often there is a lot of heat, swelling, redness, and stiffness in the joints with RA. Lower doses may be enough for osteoarthritis and muscle injuries, since there is generally less swelling and often no warmth or redness in the joints. No single NSAID is guaranteed to work. Your doctor may prescribe several types of NSAIDs before finding one that works best for you. Can I Take NSAIDs If I'm Being Treated for High Blood Pressure? NSAIDs can raise blood pressure in some people. Some people with high blood pressure may have to stop taking NSAIDs if their blood pressure goes up even though they regularly take their blood pressure medications. You have had serious side effects from taking a pain reliever or fever reducer. You have a higher risk of stomach bleeding. You have stomach problems, including heartburn. You take a diuretic medication.